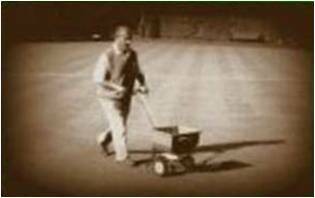 The village of Harefield had a few bowling greens prior to the war and one of these was at the end of Vernon Drive. During the war this fell into disuse. A Doctor Stokes from Harefield Hospital was keen for the employees to have their own green so he gave permission to build a green in the hospital grounds. At the start, all the members were employees and their spouses. Dr Stokes became the first president of the club. The green was half made up of grass from Rickmansworth Tennis Club and the rest was seeded. However, the green was undersized. In the first season the club lost every single game they played, but it was a start. 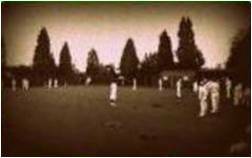 Around 1955 the council built a green in Taylor Meadow and a rival club was formed. This was eventually disbanded around 1961. 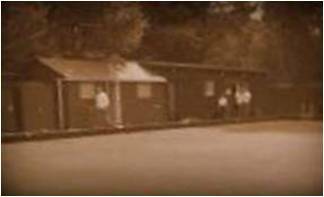 In 1972 the hospital bowls club transferred to Taylor Meadow because of the cost of maintaining the green in the hospital became too great. The club still maintained its links with the hospital through the sports and social club. In 1988 the hospital sold a lage piece of its land which included its sports and socal club. It was decided not to re-house the club,so all ties with the hospital were lost. The club at Taylor Meadow decided to keep the name Harefield Hospital Bowling Club. 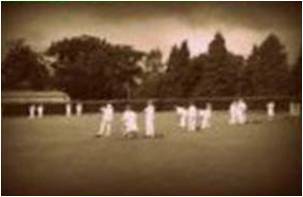 Since this time the club has had a number of major successes on the bowling green. Between 2002/2003 season, the club underwent a major rebuilding program and a big new extension was added to the pavilion, giving us far more room to hold social functions. A major part of the work was carried out by the members themselves, which included a new kitchen area and a bar. In 2011 toilets were installed onsite. In 2007, for our 60th Anniversary, we celebrated with an E.B.A. Presidential Game and Bannerette Matches, plus our own Birthday Celebrations on 8th July.